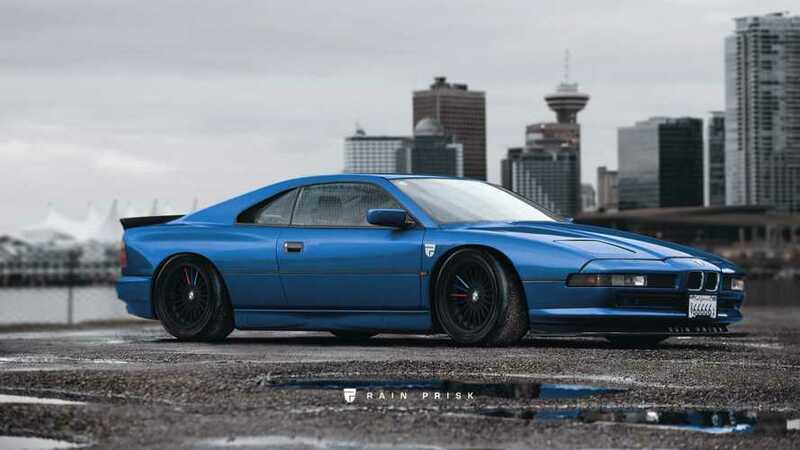 Frankly, we’ve wanted to see a cool old-school BMW 8 Series render for some time now. That’s not to say we've had feelers out with different rendering artists to make it happen. With a new 8 Series among us, we're just surprised we haven't seen the render treatment given to the old model sooner. Once again, it’s Rain Prisk on Facebook to the rescue, but this sweet 8 Series project isn’t just a reimagining of the old GT’s shape – it’s a reimagining of the line itself. Go ahead, take a closer look. Tell us about the Ferrari F355 influence you see in these renders. There’s obviously a very good reason for that. Rather than incorporate features from the original 8 Series into a modern look, this effort is a cool what if take on two definitive 1990s performers. And why not? The first-generation 8 Series and the F355 both utilized pop-up headlights, and the 355’s overall shape seems rather conservative by mid-engined Ferrari standards so it matches up pretty well with 1990's BMW design philosophy. The rendering does away with the Ferrari side scoops of course, but the result is a sleek supercar that looks like something BMW could’ve actually built in the 1990s. We’re a bit sad it never happened. Scrolling through the photos in that Facebook post you’ll see another 8 Series rendering unlike the rest. It’s obviously a take on an all-new mid-engined BMW, using the current 8 Series as inspiration. We first saw it over a year ago, but seeing it again reminds us that BMW could do worse than building something to take on the Italians in a mid-engine showdown. Can you say BMW M1? We said that a year ago, and we’ll say it again – BMW M1.